Phil Rogers, CEO of Square Enix Americas and Europe started the presentation by stating the obvious: SE hasn’t done one of these press conference panels at E3 in a while. He’s mentioned some of the trials and triumphs that Square Enix has done in the recent years, such as rebuilding Final Fantasy XIV into a successful game and the Square Enix Collective which has helped with creating some smaller games with their help. 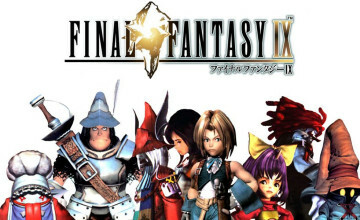 But of course, everyone is expecting big things from Square Enix as they’ve stepped back into the public sphere. After the previous day’s Final Fantasy VII remake, what are they going to announce here? Can they match that? Why didn’t we get a remake to VIII instead of VII? 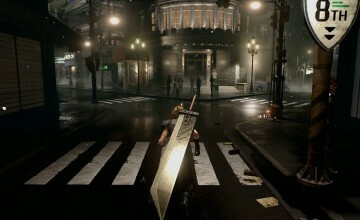 Excluding that last question, read on (and watch on) as Armed Gamer brings you our Square Enix E3 press conference recap. Roland Lesterlin, game director of Just Cause 2 came out to introduce Just Cause 3. He mentioned new features in the game, like the wing suit for better parachuting and better grappling hooks for exploring and pulling off some incredible stunts. Both features are emphasized in the trailer, letting your maneuverability really shine through. But of course, there’s 80+ vehicles, lots (and I mean lots) of weapons, and many of the massive explosions people expect from the Mediterranean sandbox game. Just Cause 3 will be launching on December 1, 2015. Yosuke Saito, Business Division VI executive, came to the stage to announce a new project. New ground is something everyone loves to see with Square Enix games. Saito is the producer as well, watching the trailer, and you can see many famous names attached to the project, along with games they’ve worked with in the past. 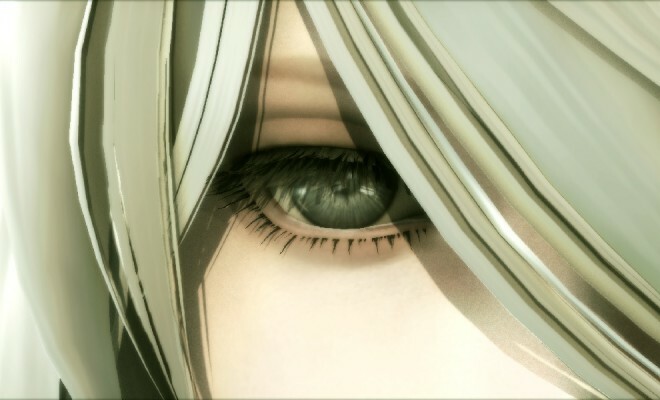 While the trailer was just to really demonstrate artwork, it turns out that it’s a new NieR title. Not quite what we expect when we hear new ground, but there’s a wealth of material to still be explored there. Yoko Taro and Atsushi Inaba then came to the stage to give their thanks to previous supporters of the game. Yoko says with the names involved and the trailer’s concept so far, he’s not sure what to really say, and that he hopes it will stand on it’s own. Atsushi said it will be a while (like most SE games), but he’s got high hopes for it. Saito returned to say even the subtitle is a secret to this game, but we’ll (maybe) get some more information in August. Following the new NieR information, we’re treated to the trailer for Rise of the Tomb Raider with Brian Horton from Crystal Dynamics. With the game revealed yesterday at Microsoft’s conference, Horton gives a behind the scenes look at the development of the art and modelling with Lara Croft, as most of the information was given at the prior reveal. Patrick Naud of Square Enix Montreal works with their mobile and tablet games. Discussing Hitman GO and Hitman: Sniper‘s successes while the twitch chat complained (because smartphone and tablet games still get no respect, sadly), he released a trailer for Lara Croft GO, a new tomb raiding adventure with a turn-based distilled version of the character we’ve come to know and love. The trailer has a wonderful soundtrack to it, and it looks like it will deliver a very different but by no means bad look at Lara Croft. Also, there’s a dragon. That can’t be good, right? – for a very stylized version of the game on tablet or mobile. It’s Kingdom Hearts Unchained, a new game in development for iOS and Android, using graphics very similar to the current artwork in the recent mobile re-releases of the Super Nintendo Final Fantasy games. Yet, the game looks very smooth and the music in the trailer is delightful. The story links in to what will be coming in Kingdom Hearts III, featuring a new character who doesn’t look to be related to Sora or Roxas. Or perhaps many characters, as you can see someone who very much resembles Squall/Leon from Final Fantasy VIII about one minute in. Perhaps we’ll get to choose our own costumes? The worlds look so large and the animations are incredibly crisp. Of course, we last saw Kingdom Hearts on a console way back in the PS2 age, but Sora’s summons look amazing as he calls a massive train summon and Pegusus from the Hercules world, with chariot to ride! The world of Disney’s Tangled is confirmed to be present in the game as well. The trailer is framed by two people playing a board game, probably some form of chess, but the young men are revealed as much younger versions of Master Xehanort and Master Erequs from Kingdom Hearts Birth by Sleep, where the story began long ago (chronologically in-game, anyway). As they discuss the Keyblade War and the nature of light and darkness, we can only grow more excited to dive into the game. Of course, with so many games on different platforms, the continuity may be a massive knotted web of questions to those who haven’t played since Kingdom Hearts II. Hashimoto then brought out Hiroki Chiba, the director of World of Final Fantasy, revealed yesterday. He discussed the huge history of Final Fantasy, and while it had a huge impact on Square Enix, this history can intimidate newcomers. As such, his game will focus on being accessible to newcomers with a simple presentation and appearance but a very deep experience, specifically noting the ability for party members to ride monsters or have little monsters ride them and how this will be an important skill in the game. Christian Elverdam, creative director, comes forth to announce the new game Hitman. No subtitles necessary, just the familiar Agent 47 we know and love. With this gameplay trailer, the world seems much larger, with Elverdam describing it as a high definition sandbox where every NPC being a unique entity. With support for community created targets and discussions on one-chance targets that will only appear for a limited time, the new Hitman looks like a very living world that is going to be exceptionally fun to play with. December 8 is the magic date for this world of assassinations. Ohohoho! A smaller franchise that is no less loved, Square Enix reveals a new installment in the Star Ocean series with this trailer. Star Ocean: Integrity and Faithlessness is confirmed to be coming to NA on the PlayStation 4. With this new gameplay trailer, they really manage to capture the spirit of Star Ocean’s real-time combat, similar to the Tales series, while showing off many of the varied locales and monsters players will encounter as they travel the world. “Seamlessness” is the word of the game, moving between combat and exploration easily while allowing for dynamic cutscenes. Star Ocean really wants to break that stereotype of JRPGS as just movies you play. Aiming for a Winter 2015 release in Japan and a 2016 NA and Europe release, it looks like we’re finally getting an RPG that takes us back to the stars. Bringing back the development team from Human Revolution and now running on the Dawn Engine, we got our first look at Deus Ex: Mankind Divided. While the world has turned to shun the cybernetically augmented characters of Deus Ex, players resume the role of Jensen working as a double-agent against the Illuminati in a world where player-choice can have an effect on the story. With new weapons and augmentations, some demonstrated in the in-game trailer like the retractable arm blade, this new Deus Ex looks like it is going to be magnificent installment in the franchise. Early 2016 is the release date, folks! Yosuke Matsuda, president and CEO of Square Enix, first introduces the Final Fantasy Portal app that will be coming this summer, but he mentions how RPGs have been the foundation of Square Enix. Announcing a new studio, Tokyo RPG Factory, Matsuda shows concept images for a new title currently called Project: SETSUNA. However, as he called everyone up the stage, many fans are left wondering why we didn’t get any updates on Final Fantasy XV, the mythical unicorn of gaming. Many hopes were dashed as another year went by with no revisiting of the Chrono franchise, and hopes for sequels to smaller games like The World Ends With You were not realized. BUT DID YOU SEE ALL OF THAT AWESOME STUFF!? While we didn’t get everything we wanted, of course, Square Enix really put on their A-game this year with these announcements. It’s a bit sequel heavy, but considering how much we all loved Bravely Default, Square Enix’s last new RPG, I’ve got high hopes for Tokyo RPG Factory and Project SETSUNA. It was an hour of insane trailers and awesome reveals, and it was just what we expect from E3!